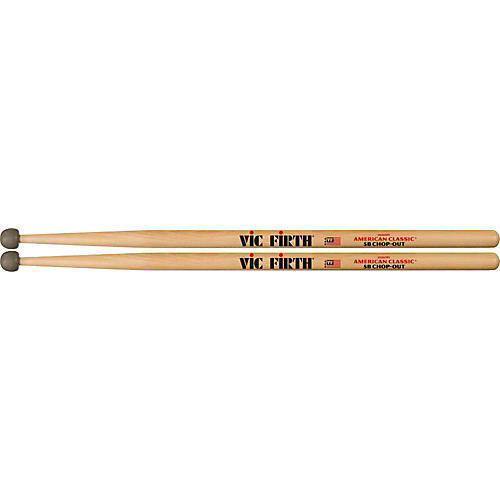 Vic Firth 5BO Practice Sticks with rubber tips are also referred to as Firth's 5B "Chop-Out" Practice Sticks. These useful practice sticks have a rubber tip for quiet practice. The sticks have an elongated taper to simulate the balance of the 5B. L = 16 1/4" | Dia. = .595"